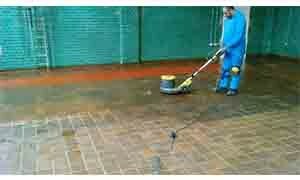 Industrial Floor Cleaning Services from Envirobridge. Your floors are one of the first things your customers will see when they enter your building. Make a professional first impression by letting Envirobridge industrial floor cleaning teams do the hard work for you, while you concentrate on keeping your clients happy. https://www.1stfacilitiesmanagementnews.com/wp-content/uploads/2018/03/1stfacilitiesManagementLogo-300x138.jpg 0 0 1st 4 Media https://www.1stfacilitiesmanagementnews.com/wp-content/uploads/2018/03/1stfacilitiesManagementLogo-300x138.jpg 1st 4 Media2015-09-13 09:54:582015-09-13 09:54:58Industrial Floor Cleaning Services from Envirobridge.